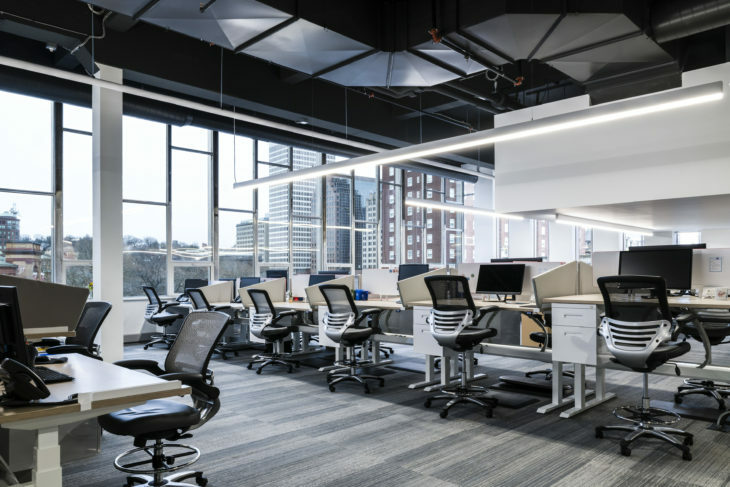 Scale1:1, a Los Angeles-based manufacturer of contemporary office furniture designed with the savvy, collaboratively oriented working generation in mind, has teamed with Virgin Pulse to furnish much of its new headquarters in Providence, RI. The Virgin Pulse project is emblematic of a new way of sourcing, working and collaborating. The client’s specifications created an opportunity for Scale1:1 to showcase its hands-on approach to building unique, culturally branded solutions for the modern workplace. 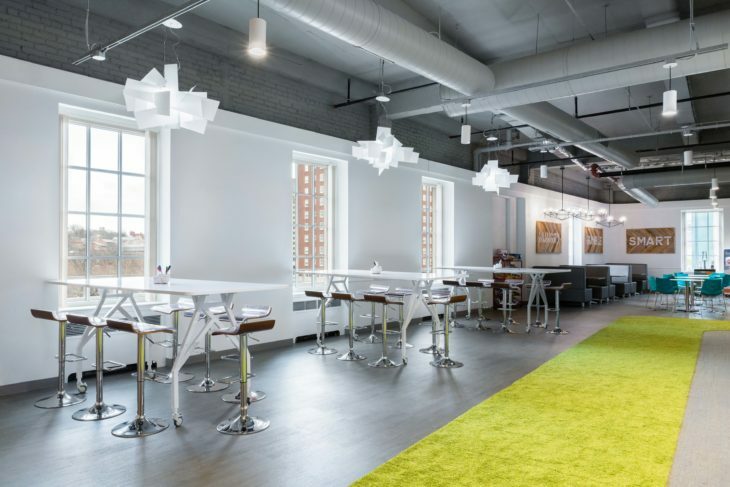 The highly collaborative process became a three-way dialogue between interior designer Lahhni Tran – known for her focus on workflow, workplace productivity, and space usability, the Virgin Pulse team, and Scale1:1’s design and development team. Scale1:1’s product line offered uniquely customizable and of-the-now designs appropriate for Virgin Pulse’s urban and tech savvy workforce. Pieces chosen for the project include WiiRise Tables, Marc mobile dry erase marker boards, and the EYHOV Sport ping-pong conference table, as well as several Tele-Conferencing tables and the modular Boardroom table with built-in power. Health-technology company Virgin Pulse, a part of British billionaire Richard Branson’s business empire, recently moved its global headquarters to Rhode Island and took over a 1930s building that formerly housed the Providence Journal newspaper. Virgin Pulse creates software that employees in its member companies use to improve their health and well-being and, in turn, boost productivity. Virgin Pulse describes itself as the largest workplace well-being company in the world and operates under the mantra that if you take care of your employees, they’ll take care of your business. Featuring 14 conference rooms, stationary-bicycle desks, treadmills and Ping-Pong tables for its 200 downtown workers, the VP headquarters was an ideal project for the Scale1:1 team. The space was architecturally significant, the floor plan was deliberately flexible to accommodate an expected triple fold increase in the workforce, and the company’s purpose – to improve employee wellbeing – neatly jibes with Scale1:1’s underlying design ethos. As the forms of the modern workplace evolve, and demographic and cultural shifts in the workforce multiply, our needs for sitting, standing, collaborating, and encouraging productivity adapt in tandem. Scale1:1 and Virgin Pulse make for a serendipitous and felicitous partnership – a rare example of a company putting its money where its proverbial mouth is and hiring a US based manufacturer equally dedicated to the ideas of quality of living, wellbeing, work-life balance, and all the ways in which technology and product can support and enhance those goals. The Scale1:1 product line features tabling and accessories that are playful yet sophisticated, and fluid in form and function. The results re-energize the concept of furnishings for the modern workplace. The pieces chosen for Virgin Pulse’s offices reflect the best of modern design with a dose of edgy fun and professional efficiency. The centerpiece of the floor plan is a series of WiiRise adjustable height workstations with custom designed privacy panels that echo the shape and color of Virgin Pulse’s logo. It was Scale1:1’s ability to produce this piece that ultimately sealed the deal for the project, and stands out as a win for American design and manufacturing. Scale1:1 provided additional furnishings to the project: Nomad Sport is a multi-function table that coverts from a conference table to a writable presentation board, then to a slick ping pong table for blowing off steam post-meeting. Marc is an easy-to-maneuver, minimalist and cheeky dry erase marker board, complete with oversize braking casters, a dual writing surface, and selection of bright powder coat frame colors. 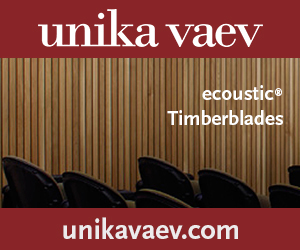 A bi-furcating extra long modular conference table, designed to split into smaller modules to convert the boardroom into a training room – and replete with power and connectivity features – holds pride of place in the central conference room. 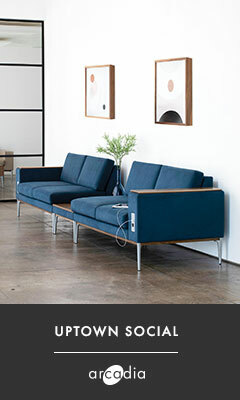 Scale 1:1 is a contemporary furniture company committed to producing compelling and innovative products. The Scale 1:1 product line is an ever expanding kit of parts that evolves and responds to the changing live/work environment. Scale 1:1 was founded in January 2010 by Clara Reis, a workplace ergonomic specialist, and David Winston, architectural and product designer. The partners recognized a disconnect between the traditional office environment and the savvy minded young professionals driving the modern economy. Together the duo hatched Scale 1:1, offering furniture solutions for the contemporary collaborative workplace.